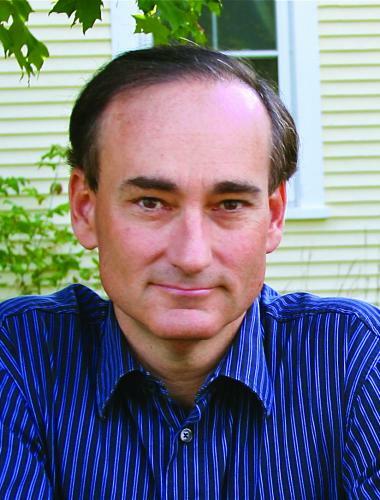 Chris Bohjalian will visit Rutland for a presentation on Close Your Eyes, Hold Hands. We're thrilled that Chris will be part of our Grand Opening Week - and the first of many authors featured by Phoenix Books Rutland! CHRIS BOHJALIAN is the critically acclaimed author of seventeen books, including the New York Times bestsellers The Sandcastle Girls, Skeletons at the Feast, The Double Bind, and Midwives. His novel Midwives was a number one New York Times bestseller and a selection of Oprah's Book Club. His work has been translated into more than twenty‐five languages, and three of his novels have become movies (Secrets of Eden, Midwives, and Past the Bleachers). He lives in Vermont with his wife and daughter. Visit him at www.chrisbohjalian.com or on Facebook. CLOSE YOUR EYES, HOLD HANDS - set principally in Burlington, Vermont - is the story of Emily Shepard, a homeless teen living in an igloo made of ice and trash bags filled with frozen leaves. Half a year earlier, a nuclear plant in Vermont's Northeast Kingdom had experienced a cataclysmic meltdown, and both of Emily's parents were killed. Devastatingly, her father was in charge of the plant, and the meltdown may have been his fault. Thousands of people are forced to flee their homes in the Kingdom; rivers and forests are destroyed; and Emily feels certain that as the daughter of the most hated man in America, she is in danger. So instead of following the social workers and her classmates after the meltdown, Emily takes off on her own for Burlington, where she survives by stealing, sleeping on the floor of a drug dealer's apartment, and inventing a new identity for herself. ADMISSION: This event is free and open to the public. As seating is limited, we recommend that you arrive early.